For the last 10 years, DSLR (and mirrorless) cameras have opened up new possibilities for capturing cinematic looking footage for fractions of the price that it used to cost. Before these cameras began offering video recording options, recording audio with your video was either very simple or very complicated. Professional and prosumer video cameras and camcorders usually included XLR audio inputs with preamps, allowing you to run microphones directly into the cameras. For cameras that didn't include audio inputs, like motion picture cameras, audio had to be mixed and recorded separately, usually by a dedicated audio person. Using headphones that are plugged into your camera are the only true way to know that you are getting great audio. Many DSLRs are limited on input and output ports. They also are designed primarily for photography, where video/audio features are often secondary. While most of these cameras have 1/8" (3.5mm mini) microphone inputs, one of the ports that many of these cameras lack is a headphone jack. The headphone jack is a very important feature that is used to monitor the sound being recorded into the camera. This is especially handy because it allows you to monitor exactly what the camera is recording. When shooting video with audio, seeing audio meters on your camera screen is not enough to know that the audio you are getting is clean. You can see meters, but what they don't tell you is exactly what those meters are representing. I see people make this mistake all the time. They will shoot video with audio, see their meters and think everything is great, then get back to editing and find out that their audio has a bad buzz in it or the audio is clipping/distorting even when the meters appeared to be normal. XLR connectors and jacks are an industry standard for balanced audio signals. Most professional microphones and audio equipment use the XLR connector, including professional video cameras and camcorders. The connector does not lock securely into position in the jack, leaving it vulnerable to coming unplugged easily or not being plugged in completely. Because the different signals run through the ring/sleeve configuration, if the rings don't line up there can be issues with signal loss or no signal at all. The connectors can have different ring configurations (TRS & TRRS are the most common), making some cables and equipment incompatible with each other. Not only is the 1/8" input not recommended, it's only one input. For situations where you need two or more microphones or audio sources, you have no way to input all of them simultaneously without extra hardware. As I said earlier, video/audio features in many DSLR and mirrorless cameras are secondary to the photo features. This means the majority of these cameras do not include high quality preamps for their audio inputs. In fact, many preamps in these cameras are poorly designed and unreliable. They can typically be quite noisy and not handle dynamic sound very well (e.g. loud concerts or people shouting). Automatic Gain Control is an audio “feature” included in many DSLR and mirrorless cameras that automatically controls the level of the audio input's signal. It is basically auto-pilot for audio, making sure that whatever is plugged into the audio input is neither too loud nor too soft. The major problem with AGC is when certain mics or audio gear are plugged in, the AGC over-compensates and causes the audio to have a hiss or buzz in it. While some cameras have the ability to turn AGC off, and some audio interfaces have an AGC correction option, it's still risky if you can't monitor audio directly from the camera. Many times I've seen XLR preamps with AGC disabling features turned on and the AGC in the camera still cause a major buzz in the recorded audio. Most DSLRs only offer a maximum audio quality of 48kHz/16-bit. This is decent audio for many things, and is typically the quality you hear on most videos. However, it can be a problem if you need to do any kind of noise reduction or correction in post. Add this onto the already poor quality preamps that come in these cameras and you don't get a lot to work with. Recording audio in a higher quality format like 96kHz/24-bit comes in handy more often than you think, and you don't realize it until you start using the higher quality format. It's not necessarily better or clearer sounding to most people, in fact you probably can't tell a difference in the actual audio. The real advantage lies in the compression of the data and the signal-to-noise ratio. To put it simply, 96kHz/24-bit audio has more information and less digital noise that allows you to do more with noise reduction and effects/EQ. You will be able to remove more noise, remove more reverb, EQ easier, and compress easier than with lower quality 48kHz/16-bit recordings. Before DSLRs added video features, syncing audio and video was mainly done on big budget feature films, television shows, and commercials. This is where the clapperboard came from, to create a visual and audio mark on footage and audio to be used in post production to sync the footage and audio together. Since then, great software and plugins have been created that allow you to sync audio and video automatically. In the last few years, editing software like Final Cut Pro, Premiere Pro, and DaVinci Resolve have added automatic syncing that matches and syncs the waveforms of two separate audio sources. As long as you record decent audio with your camera (usually the built-in camera mic on auto setting is good enough) and an external recorder, you simply need to use this feature and your video and audio will be in sync in seconds. I even have a tutorial on how to do it using Premiere Pro! 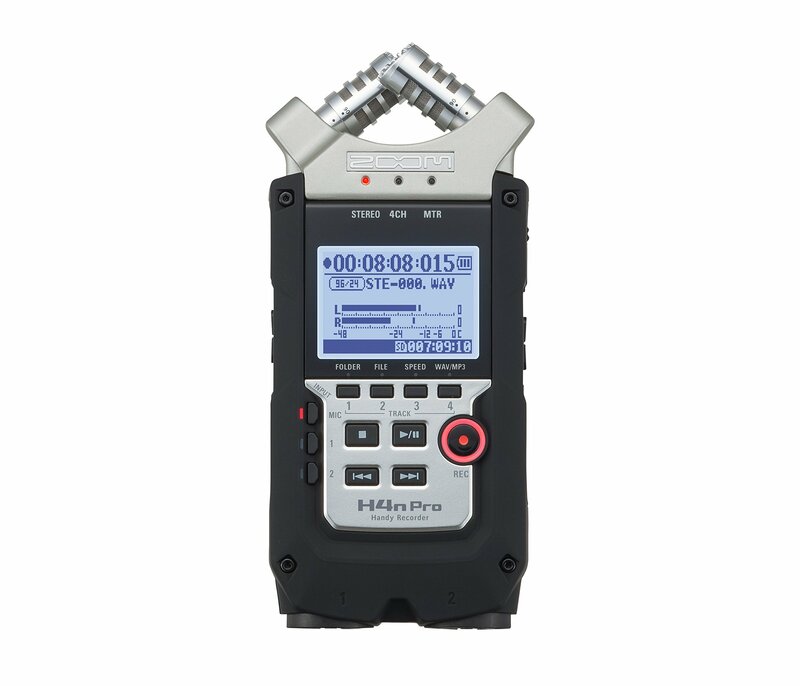 The best way to record great audio, when your camera lacks in audio quality or features, is to use a portable digital audio recorder with built-in XLR inputs and preamps. 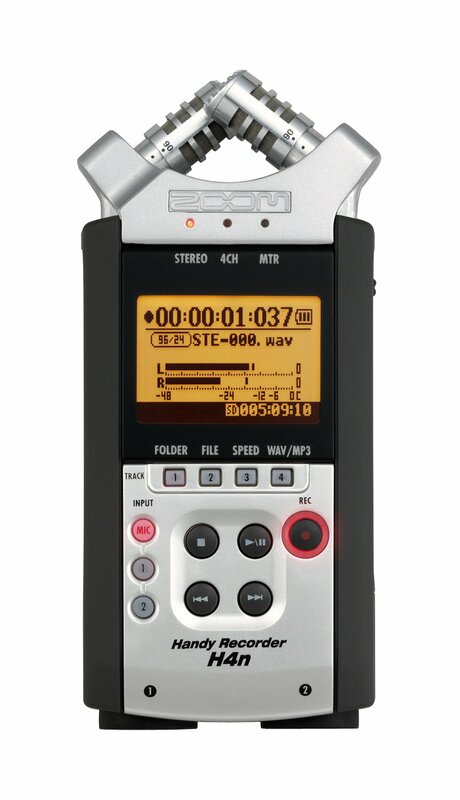 Most external recorders offer answers to all the downsides I've mentioned above, including headphone monitoring, XLR inputs, good (low-noise) preamps, no AGC, multiple inputs, and higher quality audio formats like 96kHz/24-bit. See more of my recommended gear.